Chesapeake Lighthouses is all about lighthouses! 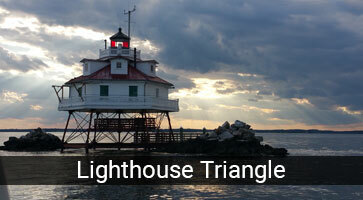 We delight in taking you to see the historic lighthouses of the Chesapeake Bay! This year, Chesapeake Lighthouses has expanded its horizons! New locations! Ferry service! International travel! 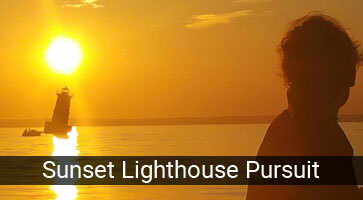 Chesapeake Lighthouses promises adventure on every trip! 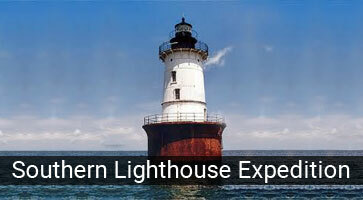 Book a trip to travel by boat and see the lighthouses of the Chesapeake Bay! Embark on a voyage of discovery! Aboard M/V Sharps Island, you’ll be taken back through the storied history of the Chesapeake Bay and its lighthouses. We’ve added a few trips and improved some of our regular trips! 2-hour, 4-hour, 10-hour, overnight! We do it all! If you don’t see the trip you want, call us! We’ll make it happen! Each trip includes the captain and crew’s narration of the lighthouses’ histories, the fragile Chesapeake Bay ecosystem, and local tall tales! Which lighthouse do you want to see? Thomas Point Lighthouse? Baltimore Lighthouse? Sharkfin Shoal Lighthouse? Craighill Range Lighthouse? We’ll take you! 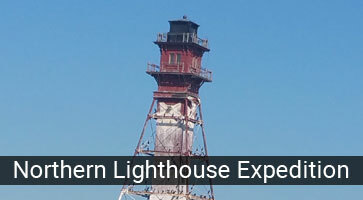 Lighthouse Alerts; visit our blog to get the latest news on our trips. Copyright © Chesapeake Light Houses. All Rights Reserved. New convenient location right in the heart of the Chesapeake! Right at the foot of the Bay Bridge beside Hemingway’s restaurant! Click here to book your trip today!